Full Caravan and Motorhome Annual Service. To maintain the manufacturer’s warranty on your Touring Caravan or Motorhome, you should have an Annual Service completed every year. 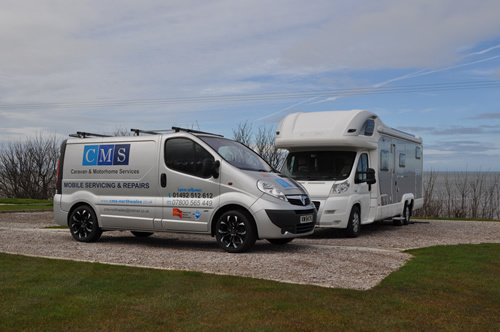 Only National Caravan Council (NCC) Approved Workshops can carry out this service to the standard required to meet the strict requirements set out by the Manufacturers and the NCC. CMS North Wales meets these requirements and is registered with the NCC as an Approved Mobile Workshop (Membership No: 1570). 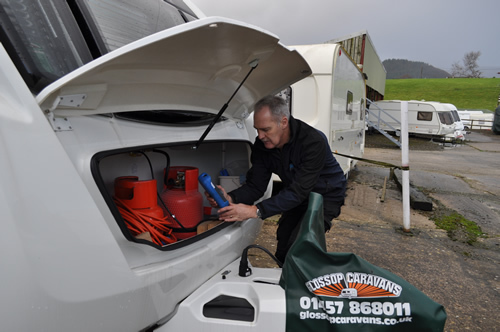 By choosing our Full Annual Service for your Touring Caravan or Motorhome, you can be assured that our comprehensive 71 point check list, along with a full written report, will provide you with all you need to keep you Touring Caravan or Motorhome in tip top condition, comply with the terms of your warranty, and give you peace of mind. Authorisation will always be obtained before any additional works are carried out. Authorisation will always be obtained before any additional parts are supplied/installed. 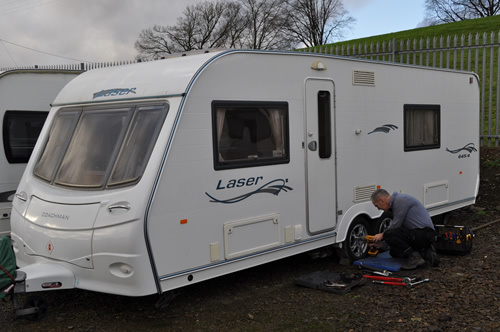 The Full Caravan Service includes the cost of supplying and fitting new one shot wheel hub nuts, and if required new Gas Hose/Pigtail. Service does not include the supply and installation of new water filters. If your caravan is kept on a seasonal Pitch, and then put into storage for the winter, then I can carry out a Seasonal Pitch service for you. This includes the same items as covered in a Full Touring Caravan Annual Service, with the exception of removing the wheels and adjusting the brakes. Instead a visual inspection only is carried out on the chassis, wheels and brakes. This Seasonal Pitch Service includes the supply and installation of a new Gas Hose/Pigtail if required. Individual Services on Touring Caravans and Motorhomes. Call out charge. Call out Charge includes the first 30 minutes of Labour. Also covers up to 30 miles travel from Llanddulas. Full Touring Caravan service. Twin axle caravan, including all service items and parts. Full Static Caravan Service. Single or Twin axle caravan, including all service items and parts. Excluding Chassis, Hitch, Brakes, & Road Lights.